Why are we considering stocks to sell in August? August is a tough month when it comes to investing. Many investors, traders and fund managers head for the beaches and golf courses, and volume tends to shrink because of it. We can get all sorts of frustrating price action as a result. For instance, we could get a “melt up,” where prices continue to slowly levitate higher and become continuously more overbought by the day. We could also have heavy volatility, where free-falls cause bulls plenty of short-term pain. Then there’s simply chop, where prices stumble up and down. It causes false breakouts and breakdowns and it can make mincemeat out of a trader’s account. It’s why we have to be so careful in August, only taking the best setups and using plenty of patience. In all honesty, sometimes it’s best to find some stocks to sell in August and take a few days of rest. Let’s look at some names that could use a refresh. If Twitter (NYSE:TWTR) and Facebook (NASDAQ:FB) can’t do it, why would we assume Snap (NYSE:SNAP) can rally? I have been bearish on this young company ever since it went public. No matter how many quarters go by, management just can’t seem to get it right. Even though the company recently beat on earnings-per-share and revenue expectations, the underlying results did not impress investors. Most of all, daily active users disappointed, as the app redesign that was supposed to be a real game changer continues to turn users off. Snap is definitely the weak player in the three-headed social media race. And given that it’s still about $2-per-share off its lows, I’d be leery of the stock if it breaks below $12. After that, those lows are back on the table. Now before you get too upset, this is a conditional situation. 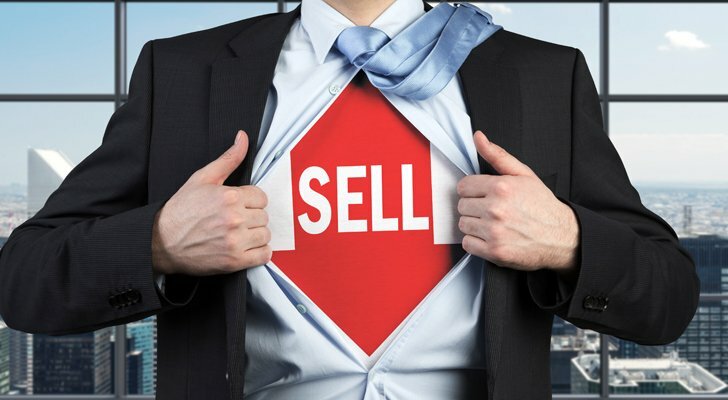 I would not consider Salesforce (NASDAQ:CRM) a flat-out stock to sell right here, right now. However, CRM does tend to rally into earnings, which is scheduled for later this month on Aug. 28. So long as the market holds up, I would not be surprised to see shares of Salesforce push through its recent highs and hit $150-per-share. However, if shares continue to grind higher into the print, traders and investors may benefit from reducing their position. I know CRM is a great company — I am long after all — but the valuation is not very pleasant. Earnings are low as management continues to invest for growth and drive top-line growth. The cloud is still in the early innings, in my opinion. We can see that by the results from companies like Microsoft (NASDAQ:MSFT) and Amazon (NASDAQ:AMZN). However, this isn’t rocket science. CRM is a “buy-the-dip” stock. If it rallies too far ahead of an event, chances are we can buy it back later at a better price, all while locking in some profit on the way. (Not a suitable strategy for everyone, but for some, it’s a good idea). Another stock I love — and am long — is Bank of America (NYSE:BAC). It has a decent 1.5% yield, strong growth and a low valuation. It is a great long-term hold. That said, for investors operating on a shorter time frame or those that like to trade around their position, BAC may set up as one of the stocks to sell in August. How so? 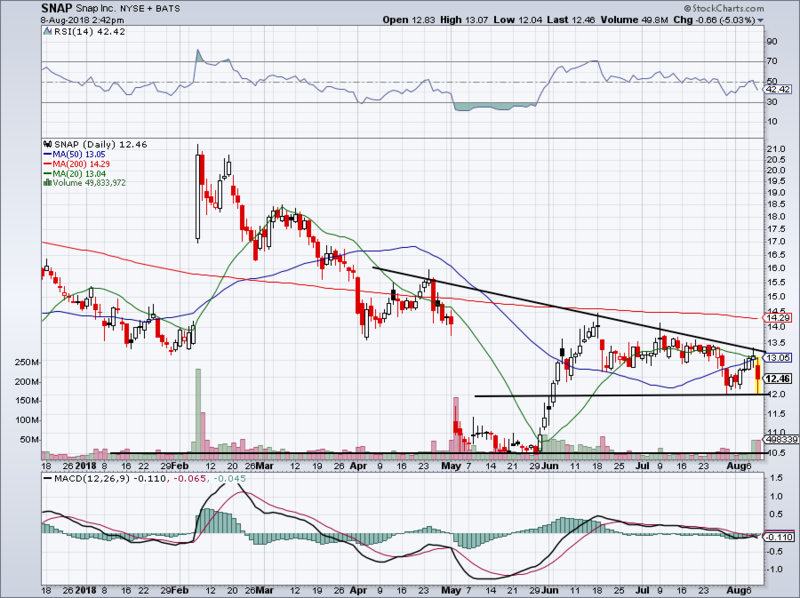 BAC has been a great trade as it approaches $32. As you can see on the chart, the stock has had trouble pushing through the $32.25 area and it was only able to maintain prices above that mark for a short while. Its high sits right up near $33. Should shares continue into overbought territory (blue circle) and run into the $32.25 to $32.50 area, it may be prudent to book some gains in BAC. 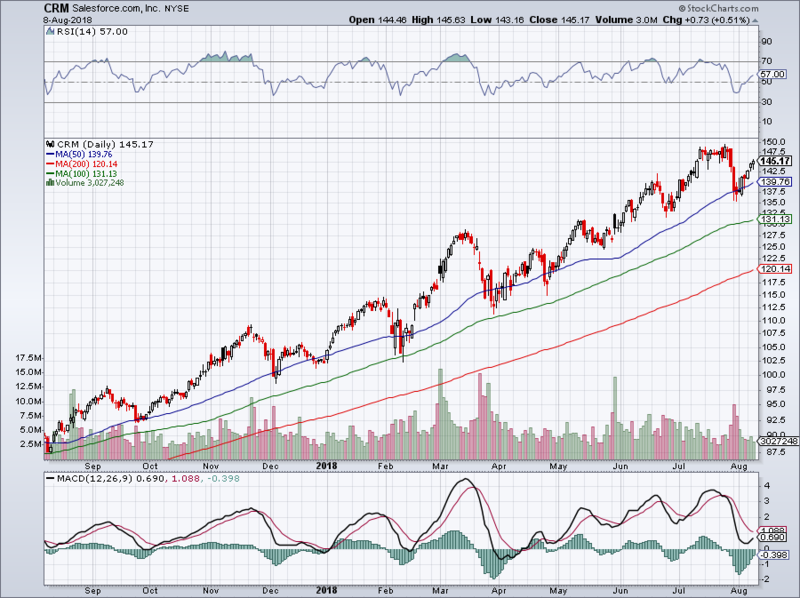 Intel (NASDAQ:INTC) is another high-quality name. But with its CEO fresh out of the picture, while Advanced Micro Devices (NASDAQ:AMD) and Nvidia (NASDAQ:NVDA) continue to dominate, maybe INTC needs more time. Now that shares have bounced from the lows near $46 — something we were looking for last month — they may need a breather. 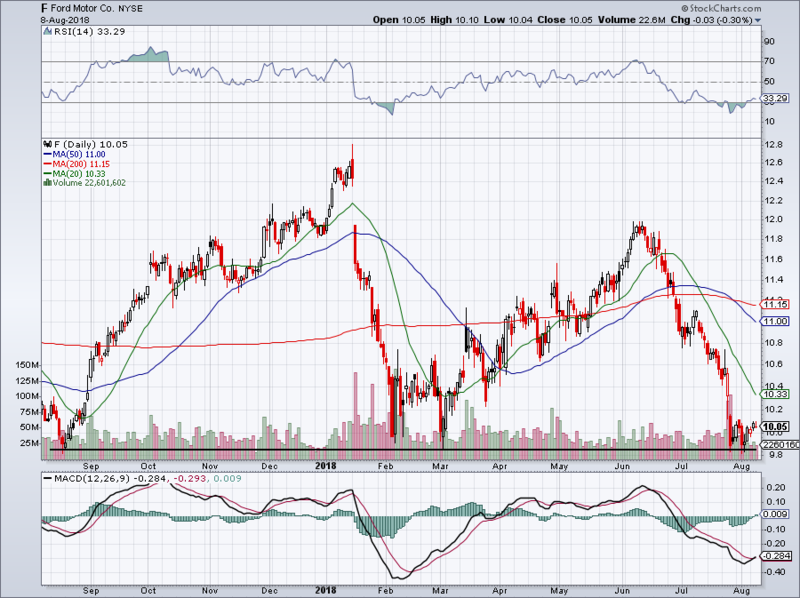 I will change my tune on Intel if the stock can get above $51.50-ish. If INTC can’t do that though, it risks falling back into that $46 to $47 zone, particularly if the 200-day moving average doesn’t hold up. We talked about the potential for stocks to correct sometime during the month. If tech is part of that correction, investors may not be piling into INTC, especially if Nvidia heads for a multi-month breakout after its Aug. 16 earnings. There are a lot of names I contemplated for the last spot. 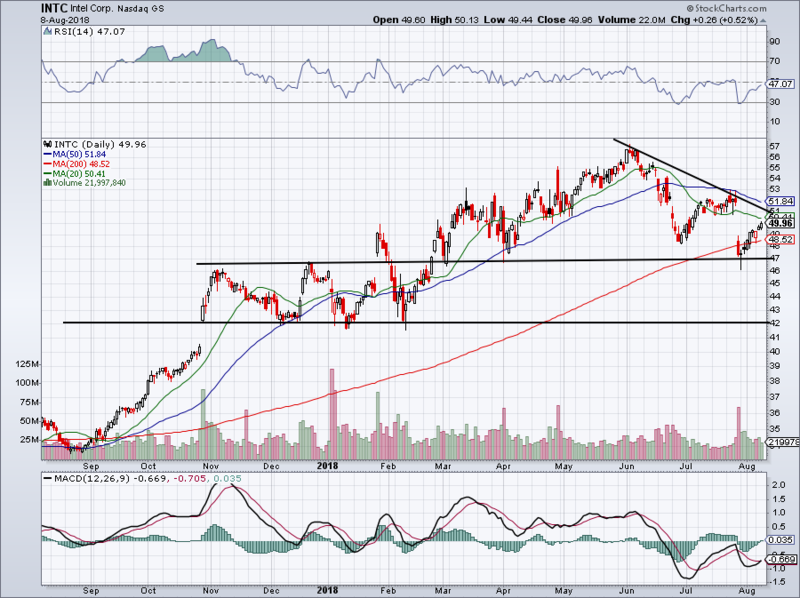 Weibo (NASDAQ:WB) could retest its channel low and it is a stock I’d like to avoid. Despite Celgene (NASDAQ:CELG) having a low valuation and solid growth, it has recovered plenty and is now near its 200-day moving average. That could set up as a short-term sell too. 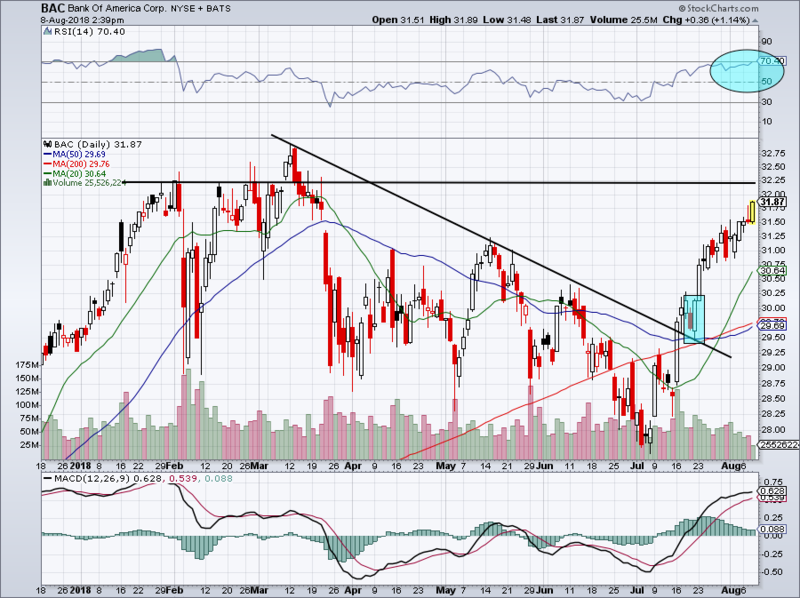 I wouldn’t sell Ford (NYSE:F) right here, right now, as it teeters on big-time support. Maybe it holds and its shares rally. Perhaps it fails and we see shares in the single digits again. But one thing is for sure: If it rallies and I’m long, I’m cutting Ford loose. The stock yields almost 6%, but that’s less than AT&T (NYSE:T), which is healthier and still near its must-buy levels. T also has positive growth this year and next year, something that Ford can’t say. Ford does have a lower valuation, but guess what? It’s higher than that of General Motors (NYSE:GM). GM may pay out a yield of “just” 4%, but in my view it is better positioned for the future and it has a superior management team in place. That’s not a knock against Ford so much as it is a nod to GM CEO Mary Barry. According to my research, I also find that GM is farther ahead than Ford in its autonomous driving plans. I have long preferred GM over Ford, dividend aside. The yield is no good if your equity stake continues to get hammered. Bret Kenwell is the manager and author of Future Blue Chips and he is on Twitter @BretKenwell. As of this writing, he was long GM, BAC, CRM, NVDA and T.
Article printed from InvestorPlace Media, https://investorplace.com/2018/08/5-stocks-to-sell-or-avoid-in-august/.